RDG Roofing - Roofer based in Woking, Surrey. RDG ROOFING, we are a family run business and we have over 25 years experience in the roofing trade. RDG ROOFING, ROOFERS IN LONDON, WOKING, GUILDFORD, CARRY OUT PROFESSIONAL ROOFING SERVICES ACROSS SURREY, LONDON AND THE HOME COUNTIES. Based in Woking, Surrey, RDG have been working for leading building companies, domestic clients and on local council contracts for over 25 years. 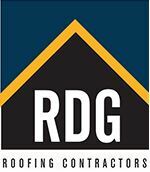 The skilled roofing team at RDG are polite and dedicated employees, working in an environment where team effort is recognised by the underlying family roots from which the company has grown. Our top priority is our clients’ satisfaction and we work at an exceptional level to achieve this every time across all of our services. We offer a free estimate service and are more than happy to visit your home or business, offer advice and make suggestions to ensure a quick and smooth solution. We endeavour to get back to our customers that very same day. If you have any questions or enquiries regarding the services that we offer, please feel free to contact us.